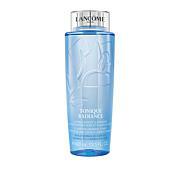 Lancome Confort Tonique Comforting Toner 13.4 oz. Lancome Confort Tonique Comforting Toner 6.7 oz. PROX302 Glow Toning Solution helps remove residual dirt, makeup and debris from skin and leaves skin soft and radiant-looking. Pour a few drops into hand and massage into skin and let dry. You can also apply to cotton ball and apply to face. 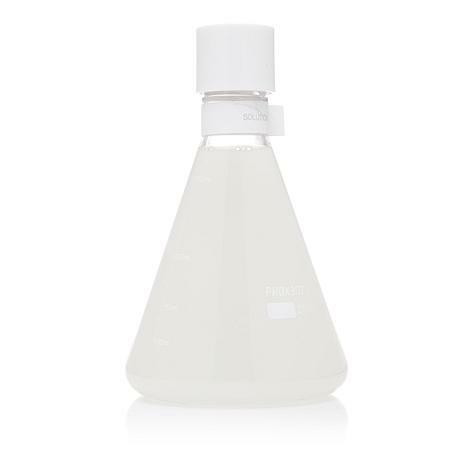 Ingredients: Water, Glycerin, Butylene Glycol, Biosaccharide Gum-1, Glycereth-26, Niacinamide, Methyl Gluceth-20, Polyglyceryl-3 Caprate/Caprylate/Succinate, Panax Ginseng Meristem Cell Culture Conditioned Media, Betaine, Propylene Glycol, Dimethicone/Vinyl Dimethicone Crosspolymer, Hydroxyacetophenone, Propanediol, PEG-60 Hydrogenated Castor Oil, Cyclopentasiloxane, Allantoin, Tromethamine, Glyceryl Polyacrylate, Acrylates/C10-30 Alkyl Acrylate Crosspolymer, Carbomer, Dimethicone, Adenosine, Caprylhydroxamic Acid, Disodium EDTA, Xanthan Gum, 1,2-Hexanediol, Isoceteth-10, Isoceteth-25, Alcohol, Sodium Hyaluronate, PEG-40 Hydrogenated Castor Oil, Caprylyl Glycol, Palmitoyl Tripeptide-5, PPG-26-Buteth-26, Acetyl Hexapeptide-8, Palmitoyl Pentapeptide-4.